In order to make your personal comfort seat we need your personal measurements. Short persons will not feel comfortable if seats are too deep and/or high. Tall persons will feel poorly supported in seats that are small. In general, body proportions vary a lot and your personal measurements allow us to build a seat that fits you. The drawing indicates what measurements to take and how to take them. Place a stool against a wall, sit up straight against the wall, and rest your feet, without shoes, on the floor.You may need a helper to take these measurements, but accuracy within an inch is satisfactory. The point behind the knees is referred to as the popliteal point. Print a helpful PDF to chart your measurements here. 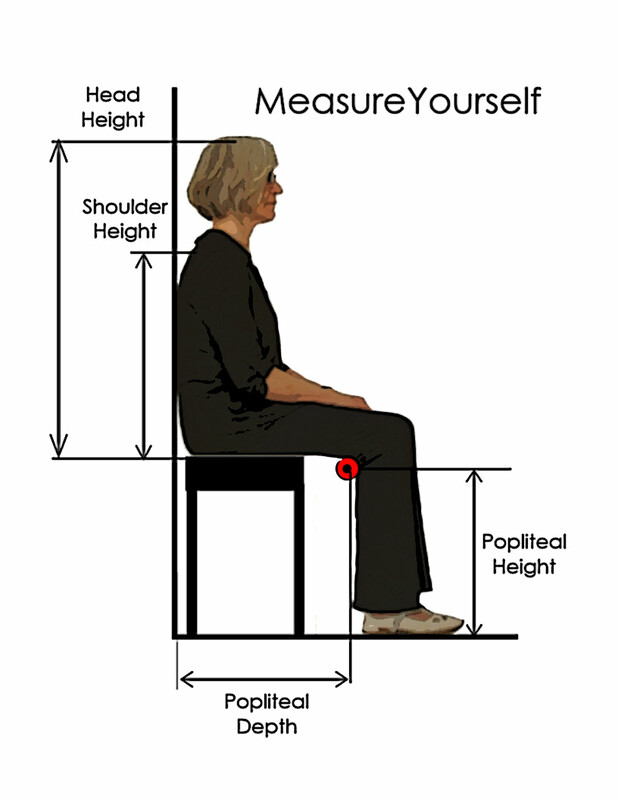 Determine the distance from the stool’s surface to your shoulders and the top of the head. We will relate these measurements to back height of the seat. Measure from the wall and the floor to the popliteal point behind your knees. We will relate these measurements to seat height and depth. Call (800) 451-7247 with your measurements and we will build your custom seat in a chair, rocker or recliner base. Please include with your measurements, your height and weight. 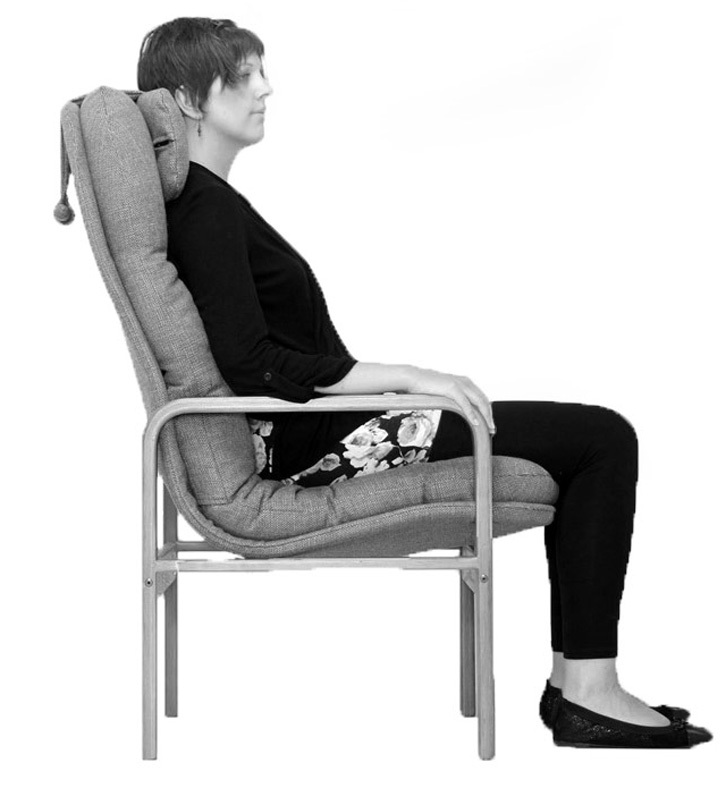 Chairs come with different postures from Upright to Comfort, with Normal about halfway in between. Normal chairs recline just the right amount to let your body rest at ease. 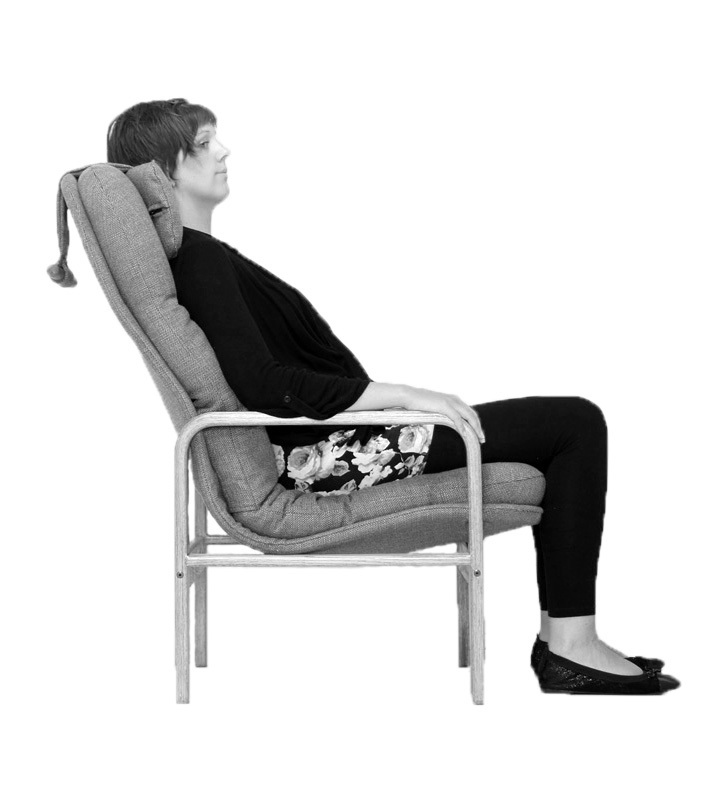 In Upright chairs you sit as straight as is comfortable. Comfort chairs are the most reclined and thus very relaxing, especially if you raise your legs on an Ottoman or Leg Support. We offer Extra Wide seats. Our standard seat is 21″ across, while the wide seats are 24″ across.